The Sonoran Desert Optical Boutique provides the highest quality brand and non-brand eyeglass frames you can find, at the best price we can get you. 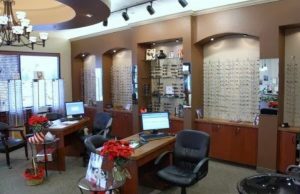 Our goal is to help our patients be extremely happy with their visual situation. Coach, Ray Ban, Oakley, Kenneth Cole, Kate Spade, Guess, Jimmy Choo, Swarovski, Juicy Couture, Armani, Fossil, Charmant, and many others. Our goal is to provide the brands people want at the best prices they can get for those brands. Whether you want glasses that make you look fun, smart, elegant, professional, or all of the above, our frame stylists are here to help. Europa, Proper Optics, and many others. Our goal with non-brands is to provide the lowest costing frames without sacrificing quality. These are frames that come in all shapes, colors, sizes, and styles with the same quality as brand frames, without the cost. We have worked hard to provide an awesome selection of children’s frames. We have many brand name children frames (like Ray Ban, Sketchers, and Oakley) and many non-brand frames like db4K and others. These come in cute styles and vibrant colors to help your child look cute and cool. Our goal with our children’s frames is to make getting glasses fun for children, while making sure the glasses are the best quality and a great price for parents. If you want to shop online for extra pairs of inexpensive glasses without sacrificing quality, You can shop our Proper Optics Eyeglass Store. Browse at your leisure! We can make sunglasses out of any frame in our boutique, but we also carry Ray Ban, Oakley, Maui Jim, and Rudy Projects sunglass brands. Of all the things we do for people, nothing makes them happier than prescription sunglasses. We also have custom made sun lenses, called Chemestrie, that magnetically attach to any existing pair of glasses. No one can beat the quality of the lenses we provide for patients. From Essilor to Hoya, we provide options to make everyone happy. From progressive lenses for every lifestyle, whether you spend a lot of time outdoors or a lot of time on the computer, to single vision lenses with the highest quality scratch protection and anti-reflective, we hands down, cannot be beat. And again, our goal is to provide the highest quality lenses for the best price possible.